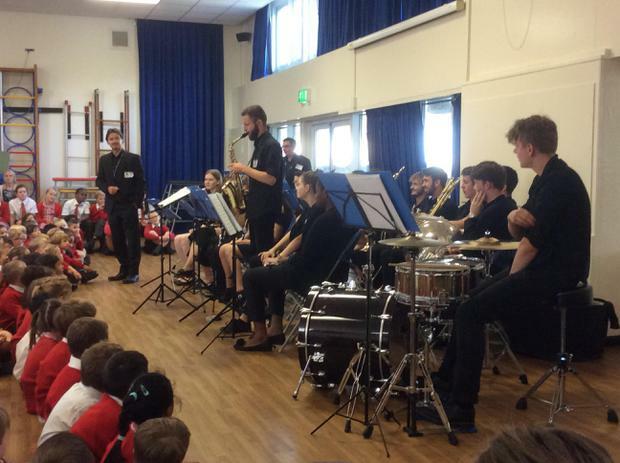 We were very lucky to be visited this morning by the very talented BYMT Inspire Band who performed to the children. 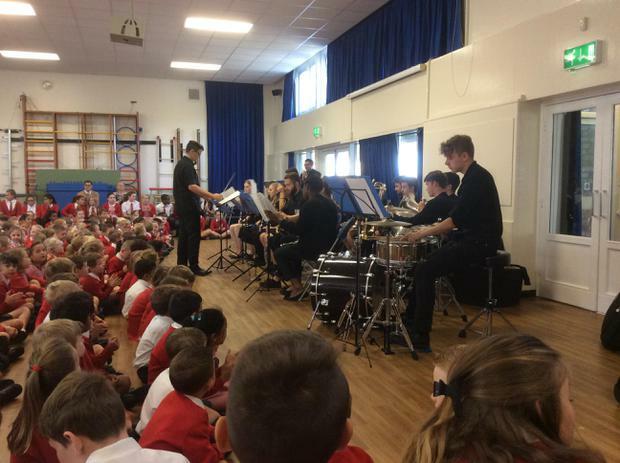 BYMT hope that their talented musicians will inspire young minds to start playing an instrument. 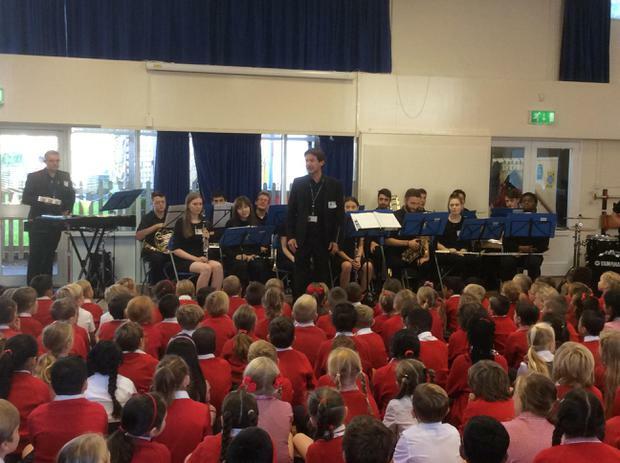 Everyone is welcome to visit BYMT tomorrow (Saturday 8 September) at their "Try an Instrument Day" from 10:00 to 13:00.